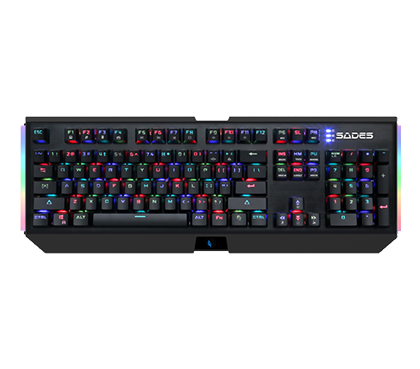 Sickle is an enhanced mechanical gaming keyboard packed with 10 illumination modes, floating keypads and RGB side-lighting especially made for your full immersion into the gaming world. Comes with the standard 104 keys supported by anti-ghosting technology and rests on a sturdy metallic panel, the Sickle is sure to improve your overall gameplay experience. The Shield Keyboard already using Mechanical blue switch Kailh. 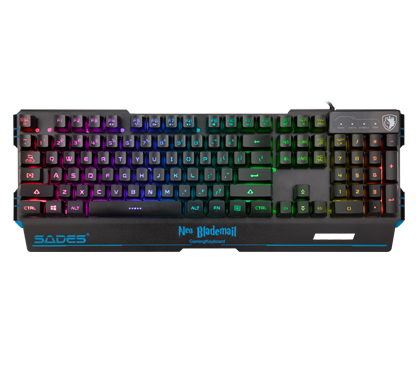 The RGB Lighting, sturdy build, and Anti-Ghosting makes the Shield the most perfect and suitable mechanical keyboard for gaming. The Thyrsus Keyboard already using Mechanical blue switch Kailh. 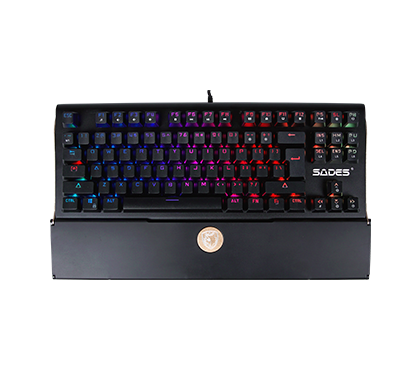 The RGB Lighting, macro function, and Anti-Ghosting makes Thyrsus perfect and suitable mechanical keyboard for gaming. The Spearwolf gaming keyboard is a gaming keyboard that already equipped with plunger keys. Plunger keys have the same feeling like mechanical keys and offer more feedback, both tactile and audible. The Neo Blademail is a membrane gaming keyboard. The sturdy metallic plate, splash proof function and RGB backlight makes it the perfect first gaming keyboard. 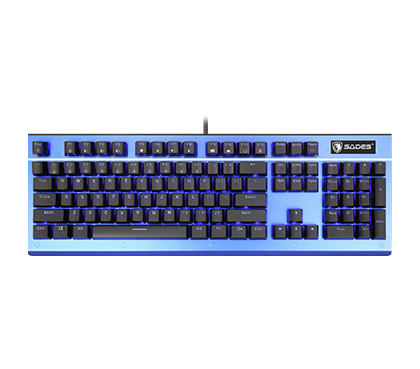 The Bladewolf is a gaming keyboard that already equipped with RGB lighting, 19 keys anti ghost, and sound sensor technology.